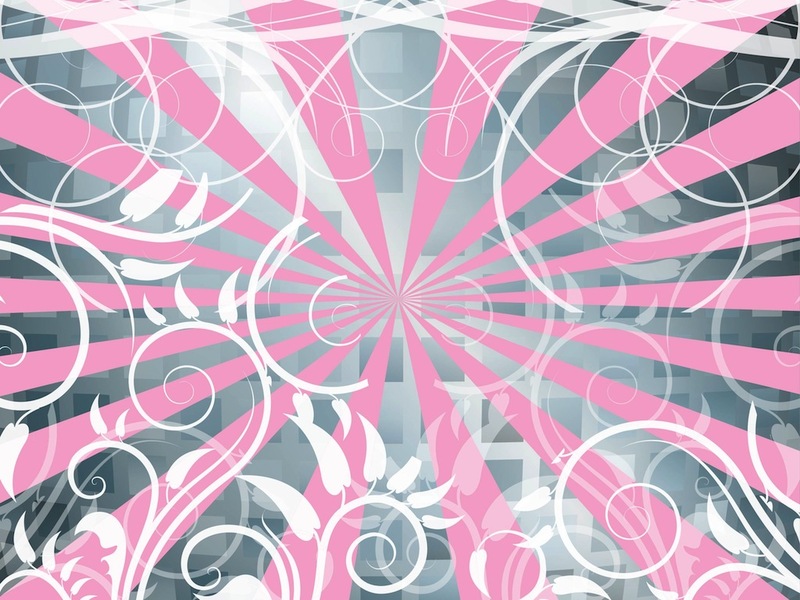 Vector graphics of sweet romantic floral decorations. Rays in a cute color and many floral silhouettes: overlapping stems, swirling plant pats and elongated leaves. Elegant decorations for your Valentine’s Day greeting cards, wallpapers, background images, clothing prints and posters projects. Tags: Disco, Floral, Flyer, Leaves, Rays, Silhouettes, Stems, Swirling, Swirls.